PRIME Minister, Peter O’Neill, has welcomed the elevation of the Archbishop of Port Moresby, Sir John Ribat, as one of the new Cardinals of the Catholic Church, and the first Papua New Guinean Cardinal in the nation’s history. Prime Minister O’Neill said the elevation of Archbishop Ribat to Cardinal on November 19 will be a time of national pride. The Prime Minister also highlighted the important work ahead for the nation’s first Cardinal. 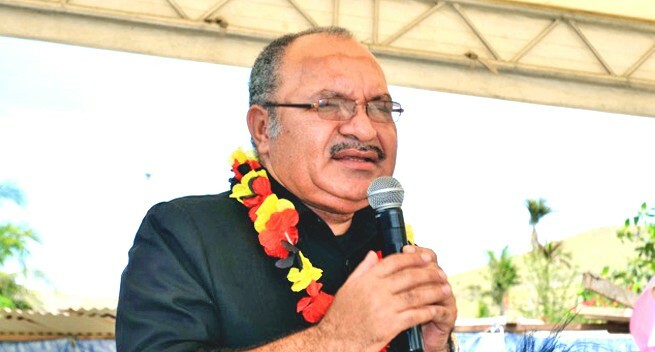 “Ours is a deeply Christian nation, and regardless of denomination, all Papua New Guinean Christians can be proud of our first Cardinal, Sir John Ribat,” PM O’Neill said. “We congratulate Sir John and again thank him for the work he has undertaken that led him to such a high position in the Catholic Church. "Cardinal Ribat will continue to provide spiritual guidance and direction, as he has done through his life, but now to a much larger flock. “His new role is an enormous undertaking and will change the lives of so many around the world.” The Prime Minister said he anticipates the nation will unite in prayer when the ceremony takes place to elevate Sir John to his new position, and he looks forward to the new Cardinal being welcomed home. “November 19 will be a proud day when the Sir John is elevated to his new position in the Church,” the Prime Minister said "We look forward to the next opportunity when Cardinal Ribat is able to celebrate Mass in Papua New Guinea. "I hope we can have a series of large outdoor services that will bring our people together in prayer. “Our new Cardinal is an example of what can be achieved through commitment and dedication. “I congratulate Sir John Ribat, our first Cardinal, for the his good work and for the confidence that his Holiness the Pope, has shown in his character and devotion," the Prime Minister said.